She doesn’t look all that scary, does she, with that calm, resigned face? But she’s a grizzly bear, and I’m standing only three feet away. It doesn’t seem right to be this close to a big, furry creature with sharp claws and teeth. Unnatural. Primal instinct screams run. 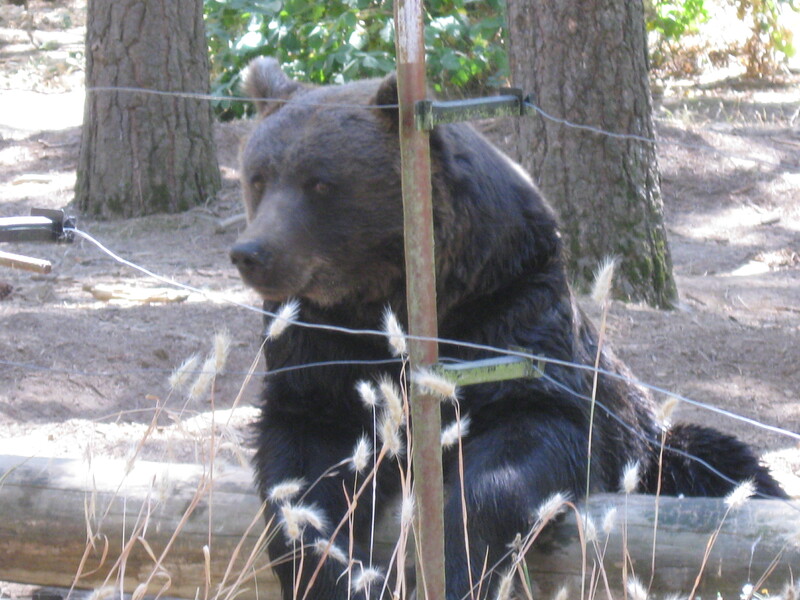 I linger, though, safe on my side of the fence, and tell her I’m sorry she can’t live in the wild where she belongs. Like many of the other animals and birds at Wildlife Images in southern Oregon, she’s not equipped to survive on her own. This is a place for injured or orphaned creatures to be cared for by experts until they can be released or, if that’s not possible, kept in surroundings that mimic their natural homes. Wildlife Images, which opened in the 1970s and became a non-profit in 1981, has a mission: Educate, Involve, and Inspire. The director, staff and more than 80 well-trained volunteers run education programs as well as care for injured or disabled animals and birds–about 1000 a year. Some were orphaned or caught in traps. The mountain lion was a “pet” whose tendons were cut so he couldn’t extend his claws, which means he’s not able to capture food or defend himself. If they’re too disabled to be released after rehabilitation, they stay on as permanent residents. That’s why visitors like me get to see them up close. 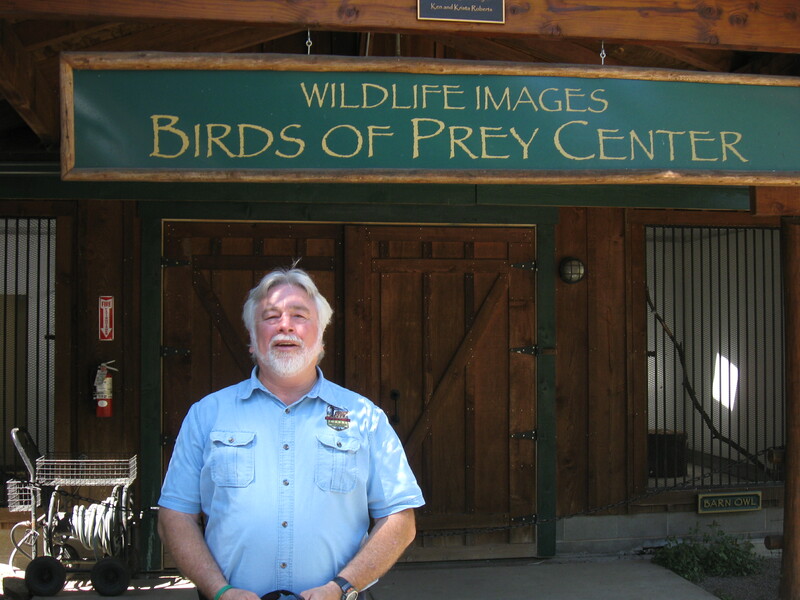 Wildlife Images is open to visitors 362 days a year for guided tours (you can’t wander around on your own). Everybody has a name. Niles and Daphne are sandhill cranes, Miss Jefferson is a 9-pound bald eagle, Cocoro is a Eurasian eagle owl, Jack and Jill are falcons. Carson is a beautiful gray fox and Defiance a proud American bald eagle. 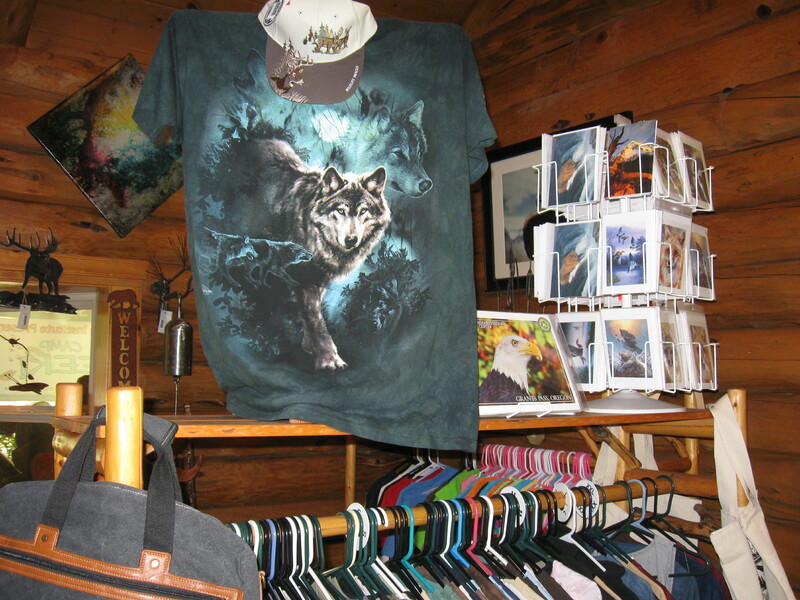 There are wolves, bobcats and several bears. At each stop along the path, I learn something new. Who’s the fastest creature in the world? The peregrine falcon—it can dive at 242 miles per hour. How strong is the golden eagle? Its talons have 750 pounds of pressure and can kill a wolf. What’s the only canine that climbs trees? The gray fox. 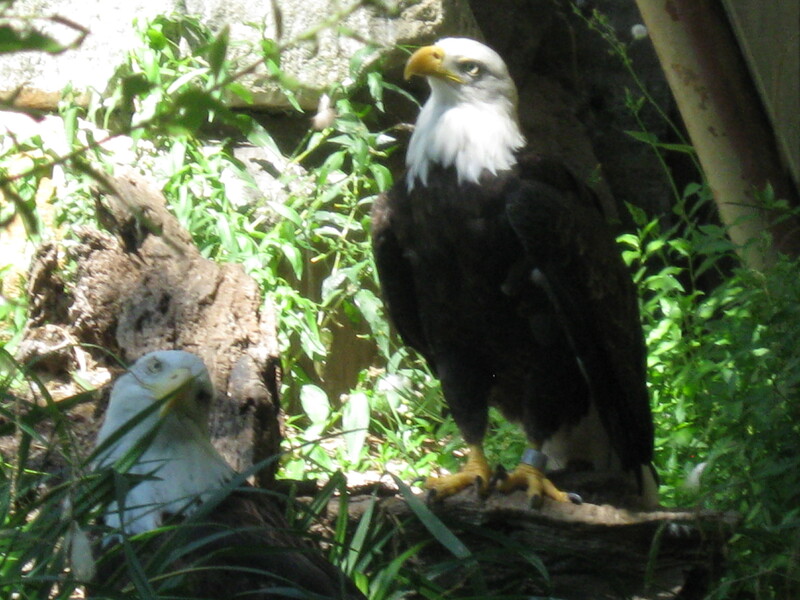 What does it cost to keep a bald eagle? $200 a month: 4,000 pounds of dog food, fresh rats, vaccinations, permits and more. The 24-acre rehab center/sanctuary by the Rogue River, 12 miles west of Grants Pass, was founded by David Siddon in the 1970s and opened as a nonprofit in 1981. It’s now run by the founder’s son Dave, who says he’s committed to continuing his dad’s dream of rescuing wildlife and educating people about it. Wildlife Images is supported by admission fees, grants, fundraisers and donations. It has an interpretive center, a pavilion for public events, a Birds of Prey building, and a gift shop. I’m interested in all of it, but the grizzly bear has me enthralled. Her name is Yak and she came from Alaska. As we watch each other I think of bear power in story and symbol, from Ursa Major, the Big Dipper, to cave bears and shamans. After a few silent minutes she hauls herself up and shambles off, and I can see that Yak, even now, carries the memory of that power.